ZX81XT - extender board for developers ZX81 - including ZX edge connector ! 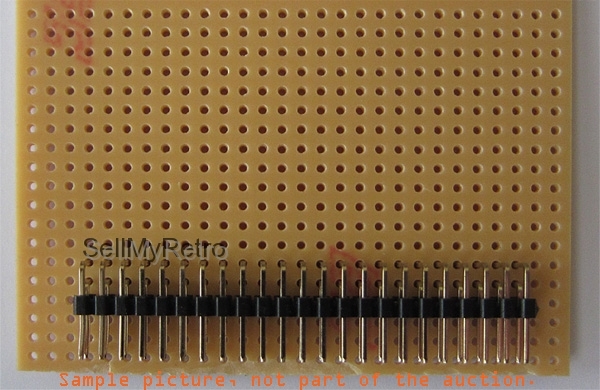 Part of the auction is the above shown item (board) including edge connector for connecting to ZX81 bus on the backside without connector for development board (like shown on picture above), edge connector is already soldered to the board and coded at Pin 3. All signals of the the ZX81 bus are connected to next bus item via backplane for standard ZX81 peripherals and to a 46 pin connector on the board to use own developments connected to the bus. The wiring is simply 1 to 1. Pin 3 (A and B) is free (not connected) and available for connecting additional signals. 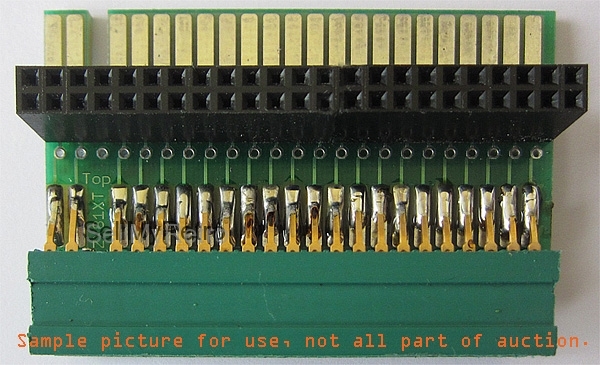 This is used only as a marker for correct sit of the connector and not used by ZX81. 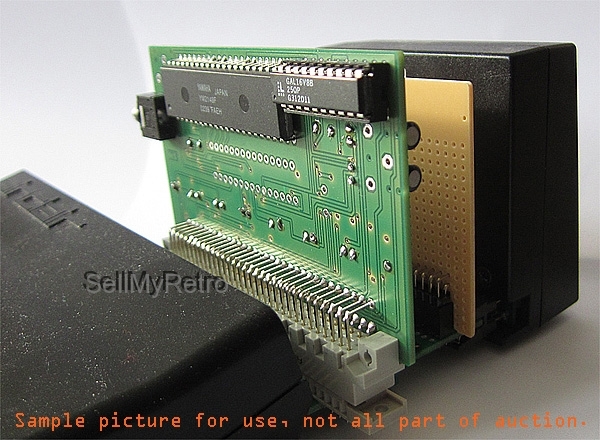 The ZX81XT has 3 rows as seen on pictures to use either a standard connector for own developments or use a VG connector (64 pin, either row A and B or row A and C) which is used in german user groups for a replica of the ZX81, known as ZX96 or ZX2000 system. 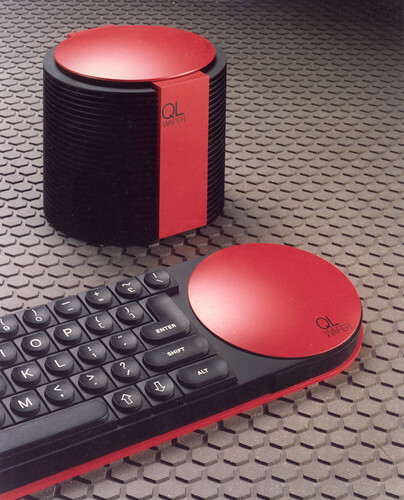 So boards of ZX96 or ZX2000 could be connected to ZX81. Please be aware of the power consumption (+5V) to avoid overheating of the internal power regulator. It is not damaged but shuts down when getting too hot. 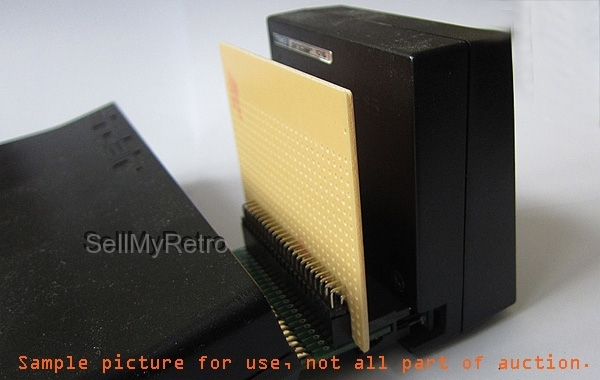 See the following pictures and comments for the use of this extender with your ZX81. The board is delivered with a small description and pin layout but mainly self explaining due to its simple but effective construction. Payment please via paypal, shipment from Germany with snail mail (surface mail :-) ). Have fun. 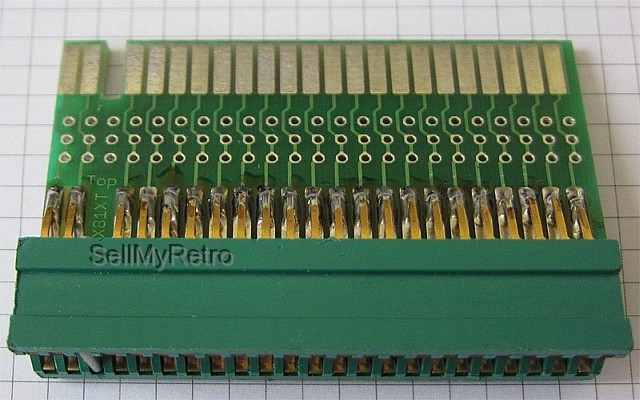 This is the best way to adapt your own developments / prototypes to a simple 46 pin 2-row female connector and use a angled 2-row male connector on your development board. These connectors and the shown board are samples and not part of the auction. 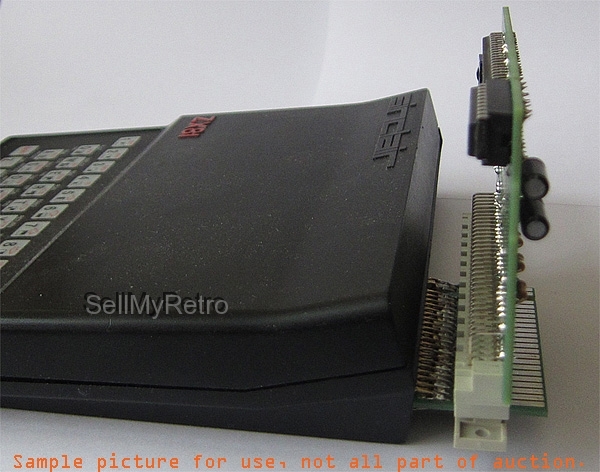 Here are some sample pictures with the ZX81XT with some board connected together to ZX81. These boards can be cascaded to use more than one development board. The last picture shows ZX81 with a Mr.X AY board, an own development board and the standard 16k memory pack from Sinclair. Please check power consumption of your boards first to avoid overheating of internal power regulator of ZX81. This will not be destroyed but stop working when getting to hot. Is working again when cooled down. 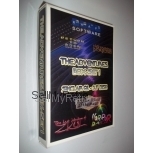 There are several other items on sale like ZX8-CCB video output, ZX81XRAM and some newer developed modules.